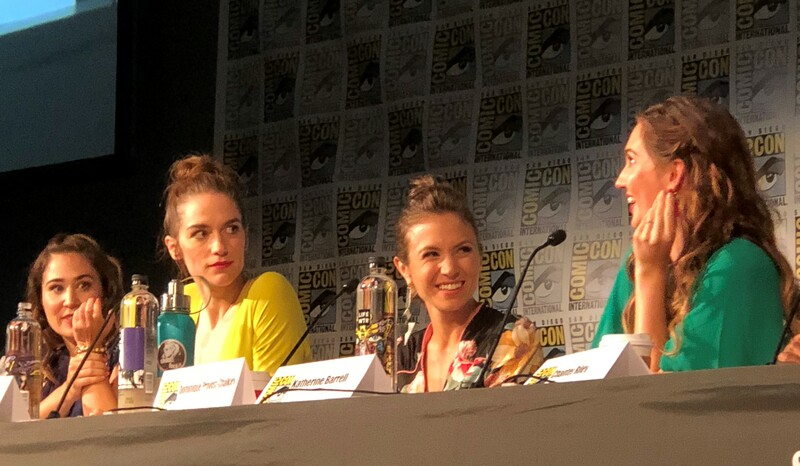 When talking with the Wynonna Earp cast there is so much love between them and for the show it is hard not to also love this show with all my heart. It is nice to here stories about a cast a crew that work well together and are having fun doing what they love. The icing on the cake is that the show is so damn good and filled with relatable and truly special characters. The rainbows sprinkles on top of that frosting is that Wynonna Earp has the best fan base of any television series, ever. Earpers share a special bond—one of love and acceptance. 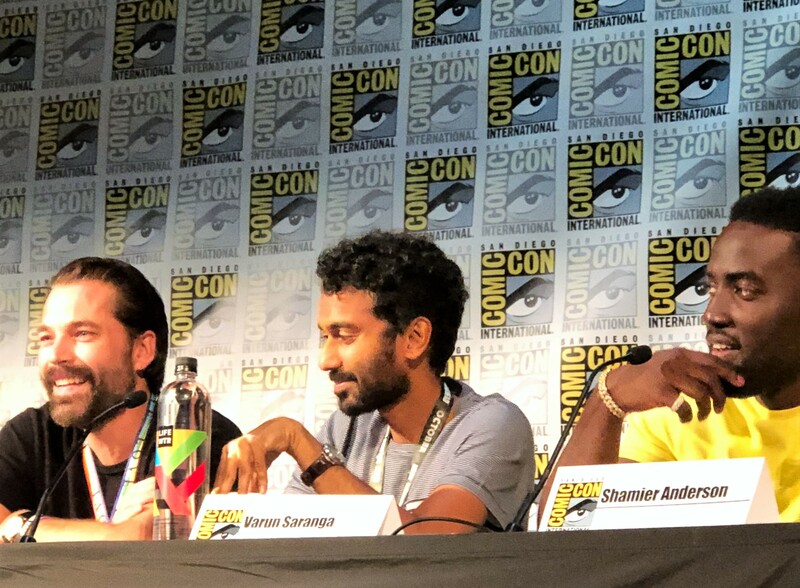 Not only did WNA get a chance to talk with the cast and showrunner, we got to sit in on the panel at SDCC’18. 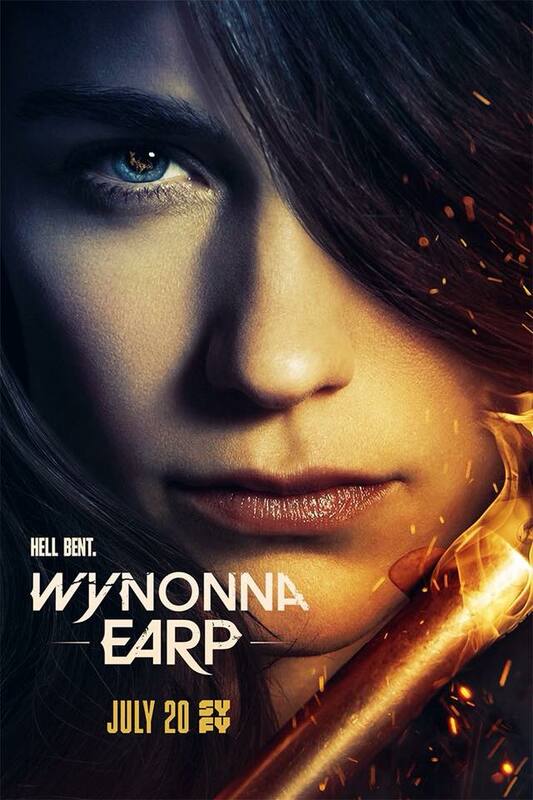 The announcement of Wynonna Earp Funkos threw the audience into an excited frenzy—but the announcement of season four left everyone positively giddy. Take a look at the interviews and some pictures from the panel! Frist, I promise we did not set out to make Melanie cry! Melanie talks about the emotional impact of last season’s finale and what it was like working behind the camera and eurotrash vampires. Never play poker with this man. Throughout all our questions, there never was a hint of what was to come in S3E2. Tim loves playing Doc, and it will always be one of his favorite characters (I will go out on a limb and say that describes 99% of us). He talks about how the events of last season will impact this season and teases us about the mysterious character from his past. WayHaught is all good after last season’s trials and tribulations. Waverly and Nicole will be working to strengthen their relationship, whilst Waverly deals with learning the truth about her mother. Katherine talks about Nicole’s past and her deepening relationship with Waverly. Varun talks facial hair and possible romance for Jeremy. Chantel is the mysterious character from Doc’s past. Whether or not her presence is a good thing or a bad thing—well Chantel won’t spill the beans. Emily teases us about the emotional impact of this season (little did we know how big an impact that would be). Beau talks about season zero and co-writing the stories with Tim Rozon and Melanie Scrofano. For those of you that were unable to attend SDCC’18 here are some pictures.